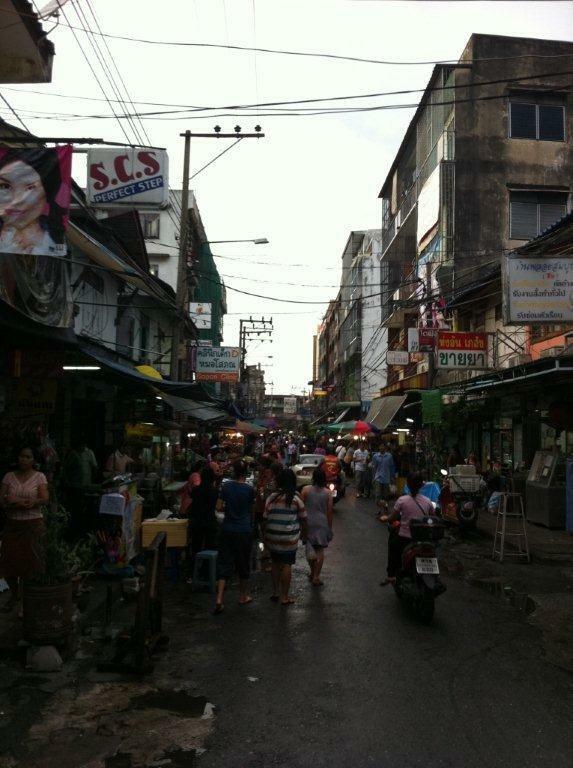 Well I know there are a lot of street food in Bangkok but since I was staying near this street, I might as well write about the good and cheap food I had for the past few days I was there. I heard this street can be quite happening for good supper during the weekends. 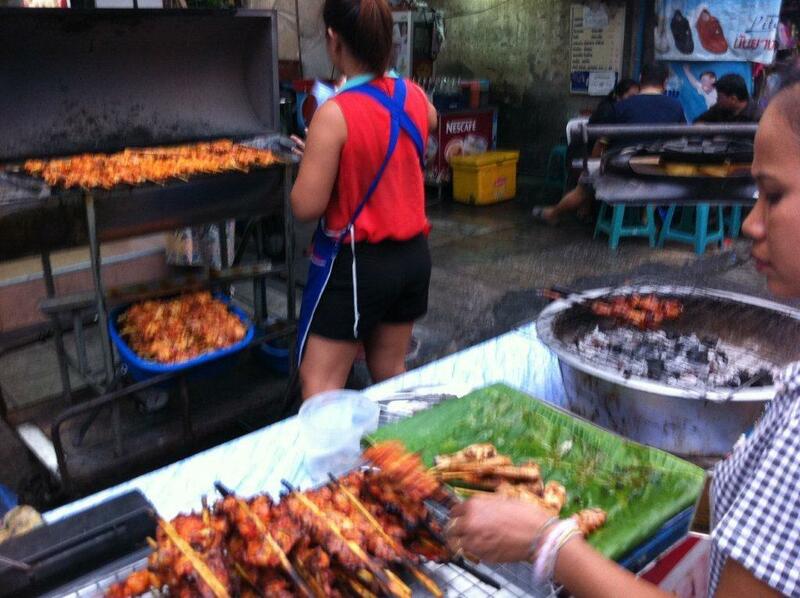 But I must warn my readers that I have a seasoned stomach train in Thailand and China, so when buying street food, please observe how they cook their food and check if the food itself is fresh, especially seafood. My comments for the food are in the pics. 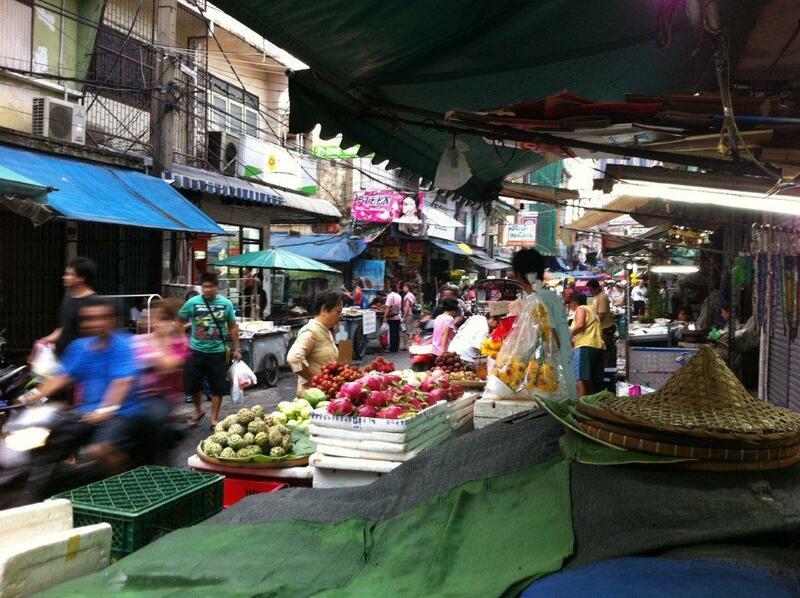 There’s a wet market here as well selling lots of local fruits! 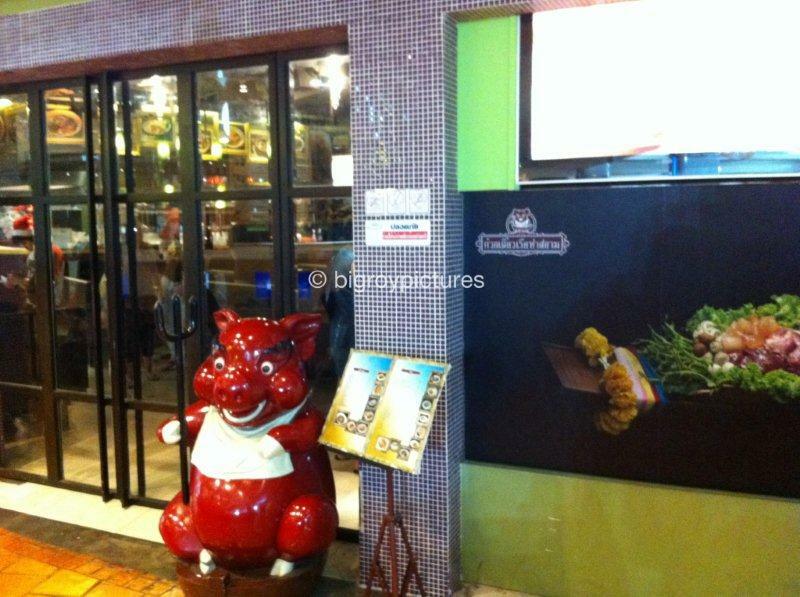 This Thai-Chinese shop selling loads of local snacks and side dishes. See next photo. 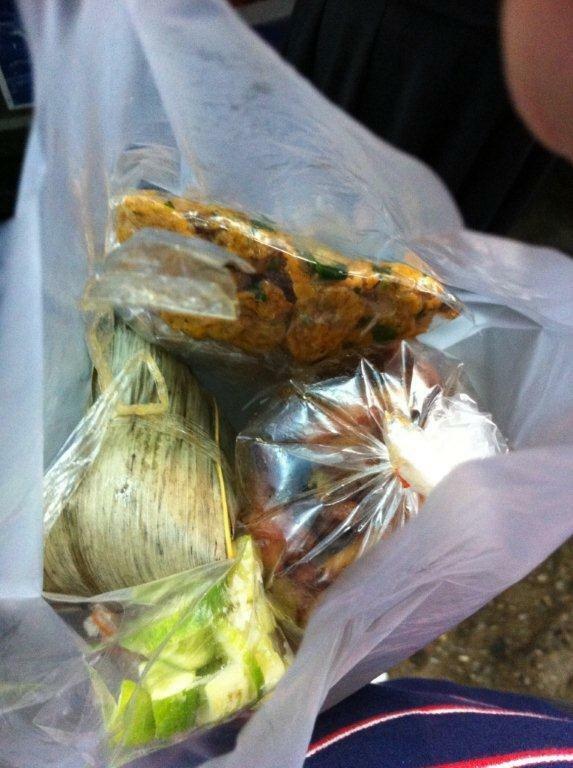 From the Thai-Chinese snack stall – Rice dumpling, Thai fish cake, and fried chicken. The chicken would be nice if hot from the wok. Rice dumpling and fish cake were really good. Forgot how much but damn cheap. 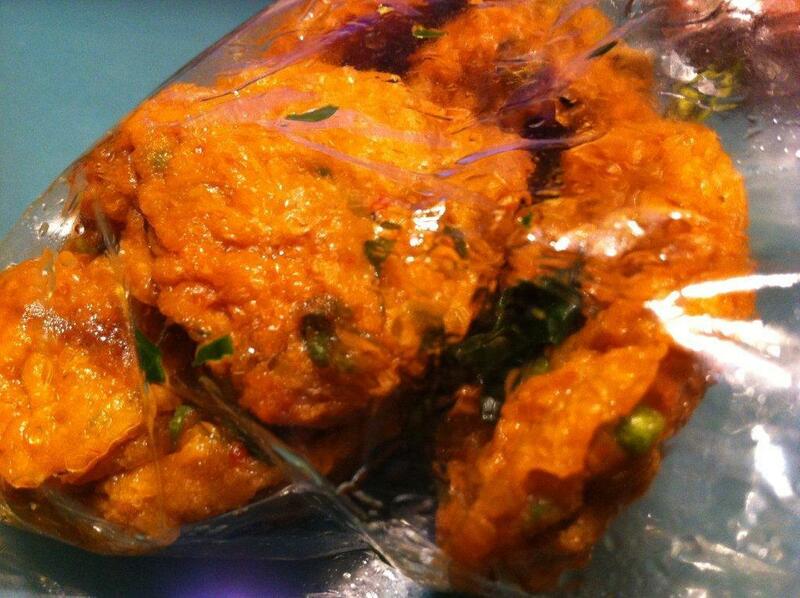 Thai Fish Cakes. Lovely side dish to go with your rice. 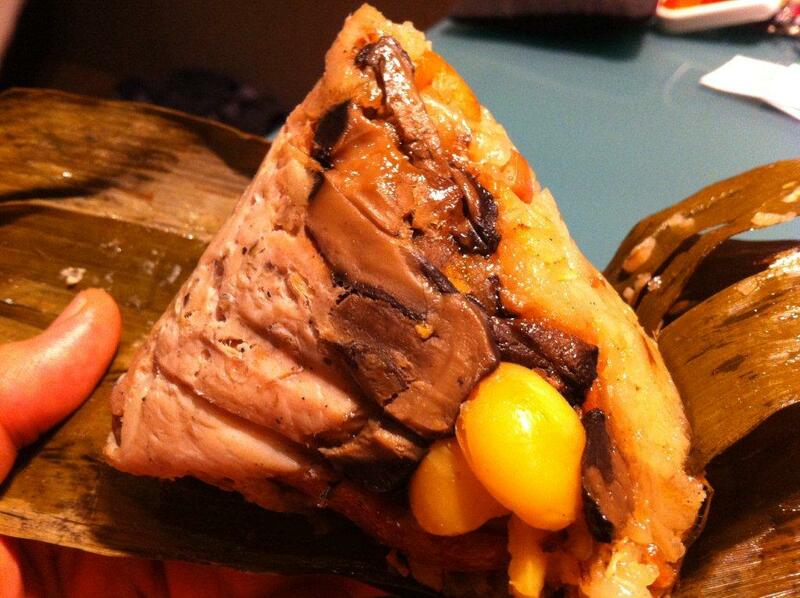 The rice dumpling was full of ingredients and really nice. 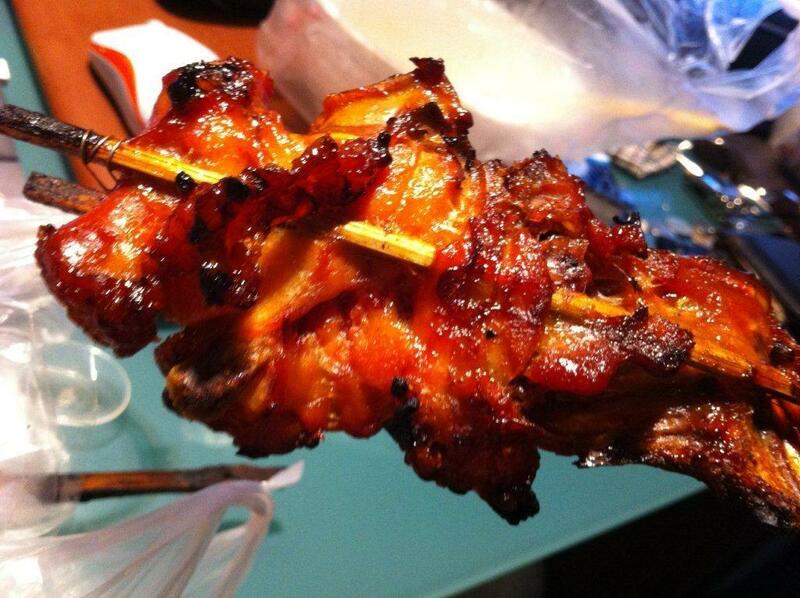 BBQ Chicken – I’ve always wanted to try this. They pasted ‘CP Chicken’ sticker on the stall hence I reckon it’s safe to eat. 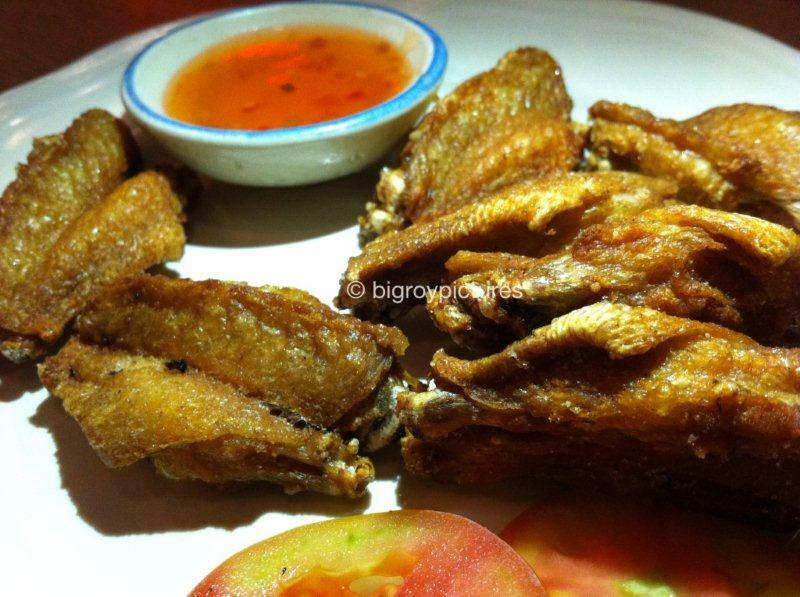 Choose your chicken carefully cos some sticks have chicken neck or boney parts. But the taste is really good. 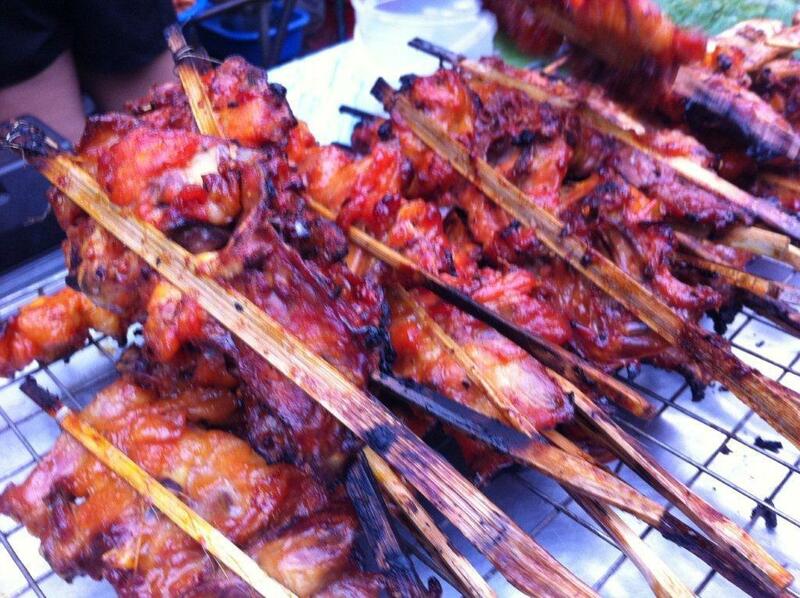 Taste awesome but cannot eat too often cos BBQ stuff. 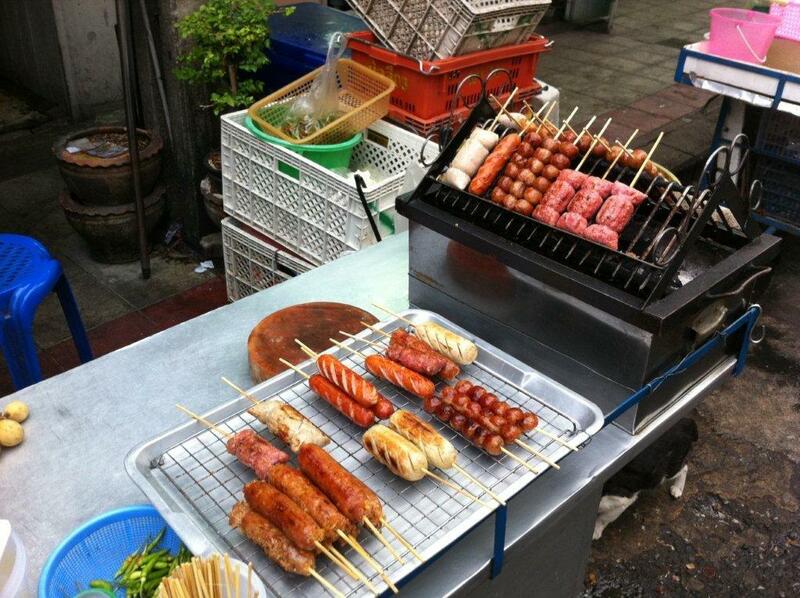 Thai Sausage – What is street food without thai sausage! This stall looks pretty good so I decided to try it. Looks really good right? 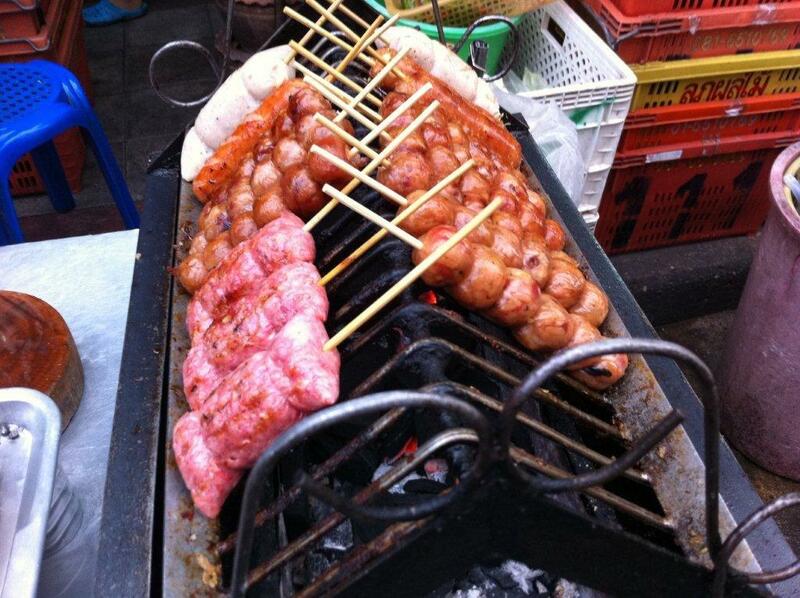 I was told that this sausage was originated from Laos. Hence it prolly came through the North Eastern part of Thailand, Udon Thani. 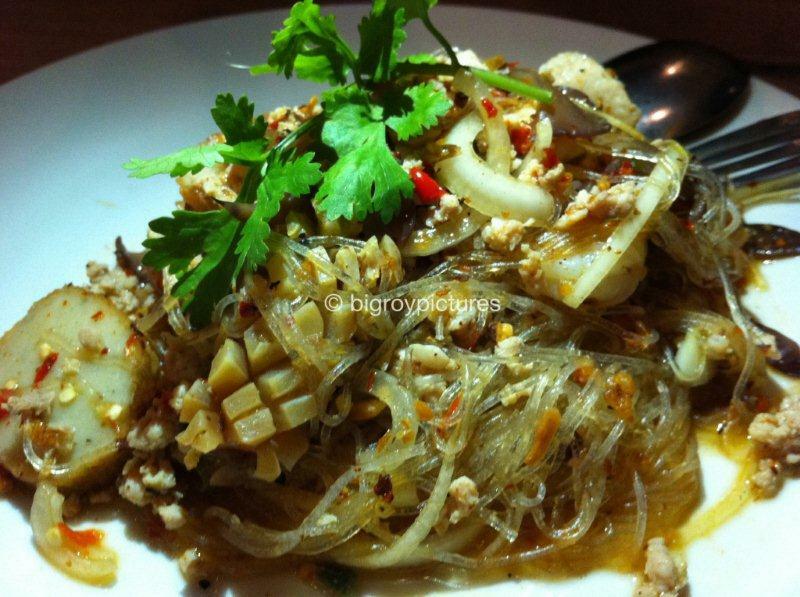 Taste is fragrant and savoury. But it comes with a little sour taste. Try it, it’s really not bad! I was wondering what this stall was until I came close and realized it’s a drink stall. 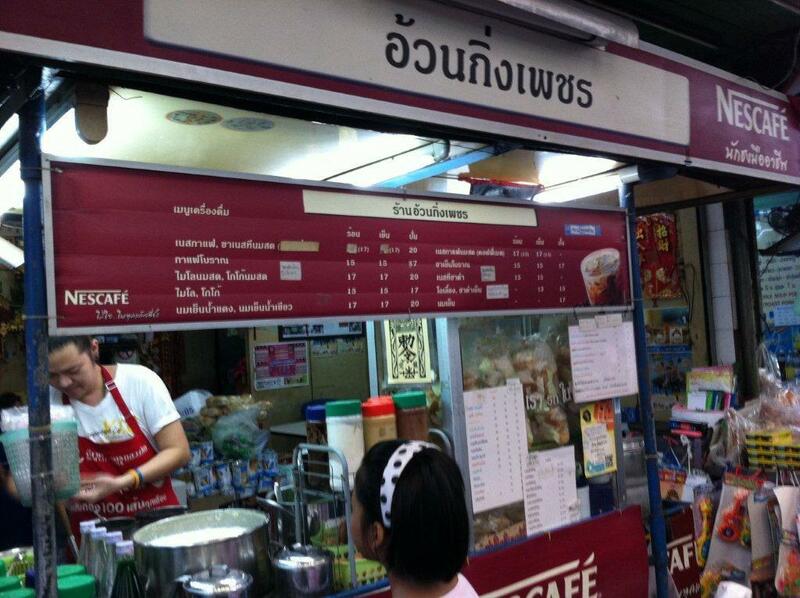 This is where you can get your Thai milk teas or very good ice coffees. But what is that big pot of white stuff? 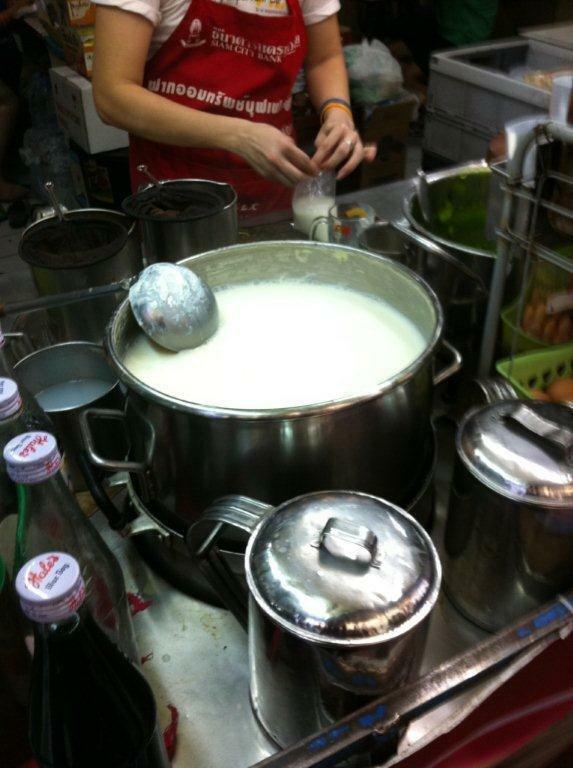 Found out this big pot of white stuff is actually hot fresh milk! 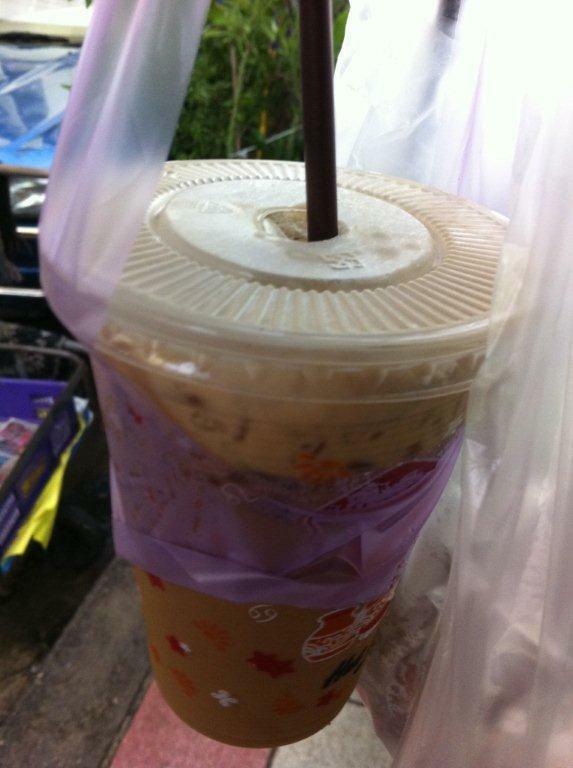 Thais love to drink this with sugar. I tried, very nice and milky. You can choose to have it iced as well. Ice Coffee made to perfection with less sugar. Noodles! 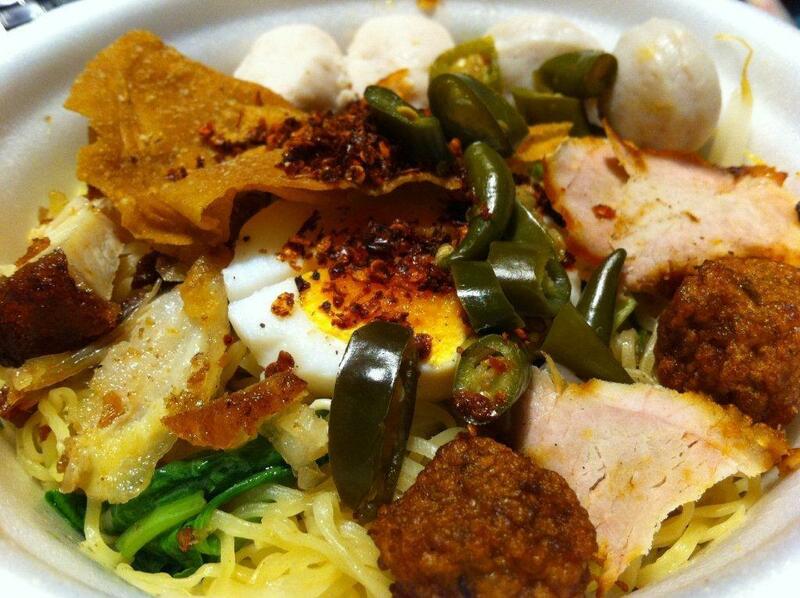 – Another stall must try is this stall that sells won ton noodles. Handed down by the lady’s mother and has been there for decades. I was told that they operate 24hrs. When this shop is close for the night, her sister will be selling by the side from 10pm till the next morning. And she speaks Teochew! I asked for a big packet of noodles with double portion of noodles and extra ingredients. Really nice for just 60 bahts. RTE: Yeah if I can! 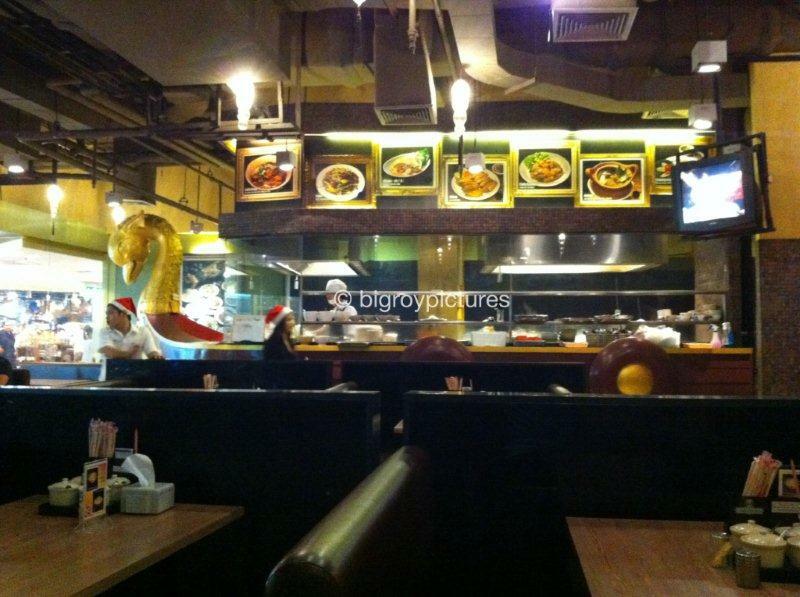 Location: Petchburi Soi 10, Bangkok. 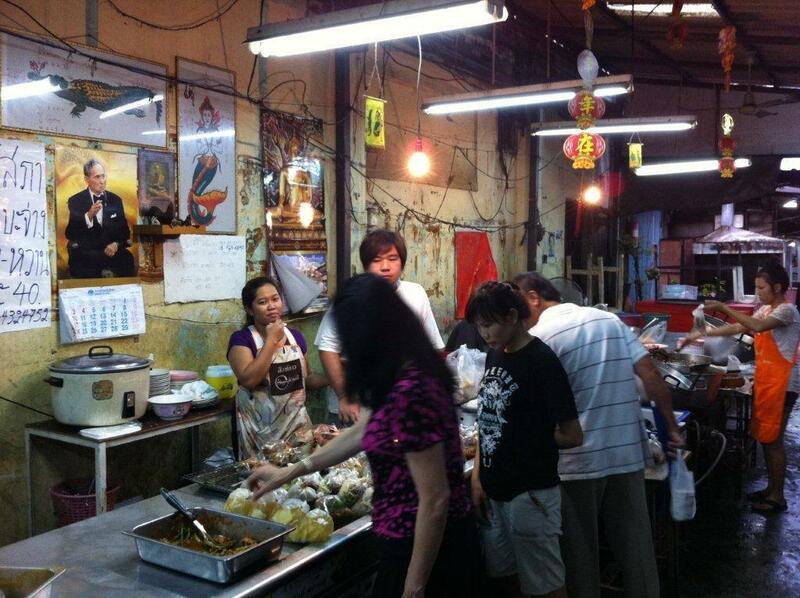 This is a famous pork noodle place in Bangkok among the locals. 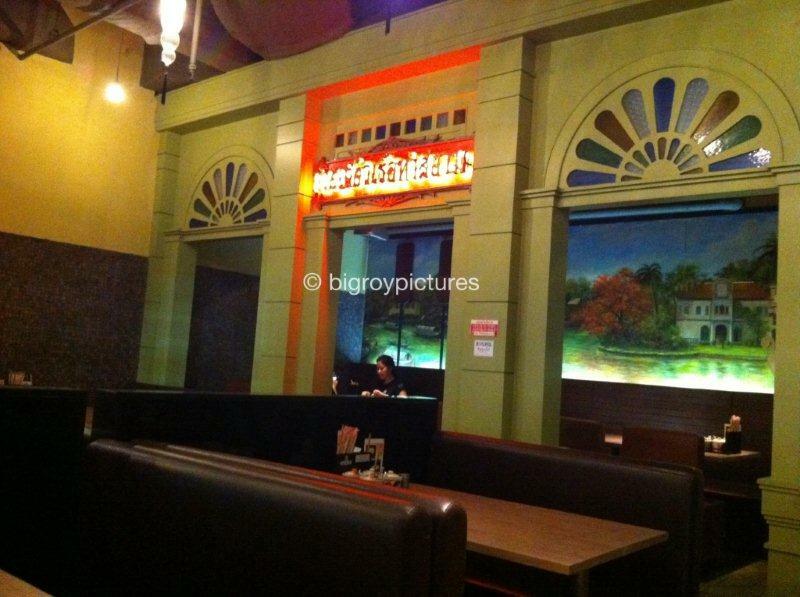 One will notice all their branches are all in Thai names and even the menus are in Thai. 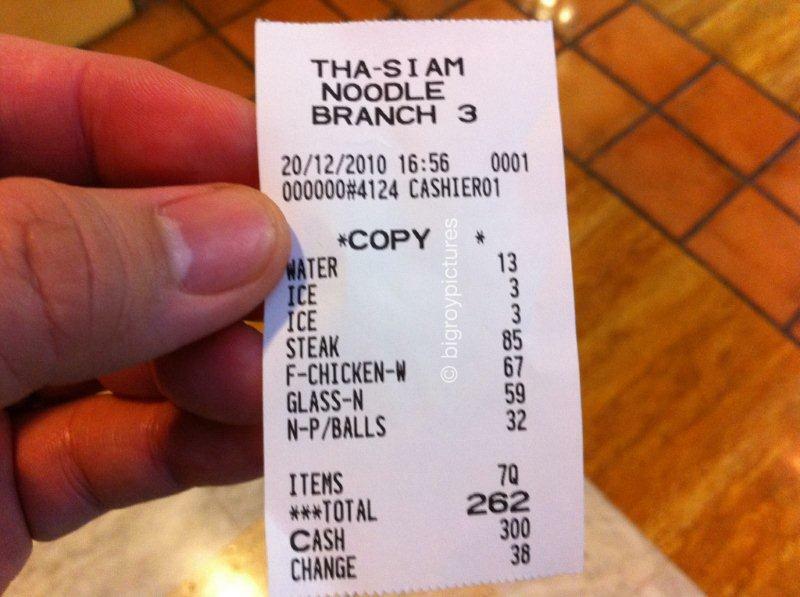 I remembered my first time visiting this shop at Siam Square about 8 years ago, almost died from the spicyness… At that time a bowl of noodles was only 10baht… now it’s 29baht. But the taste hasn’t change at all, that’s the best thing about that. But before you order, just becareful the chilli levels. 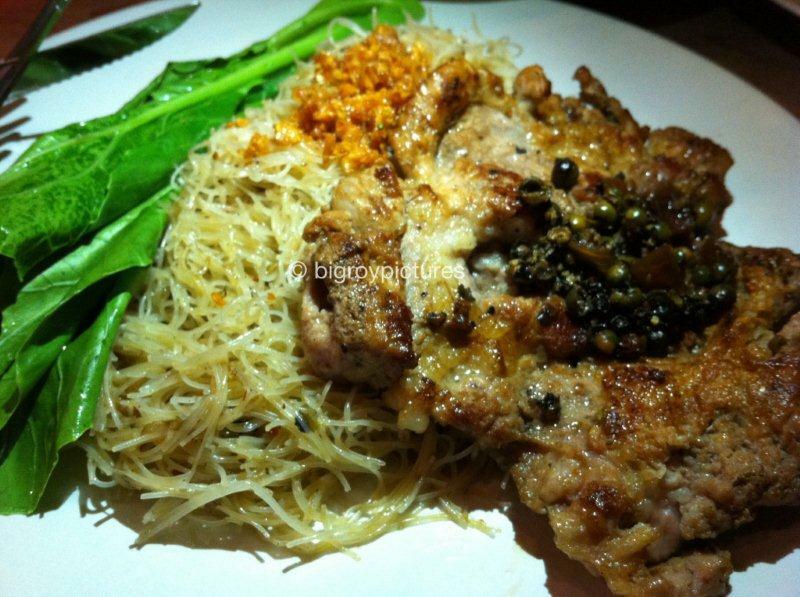 Fried Bee Hoon with Pork Chop... 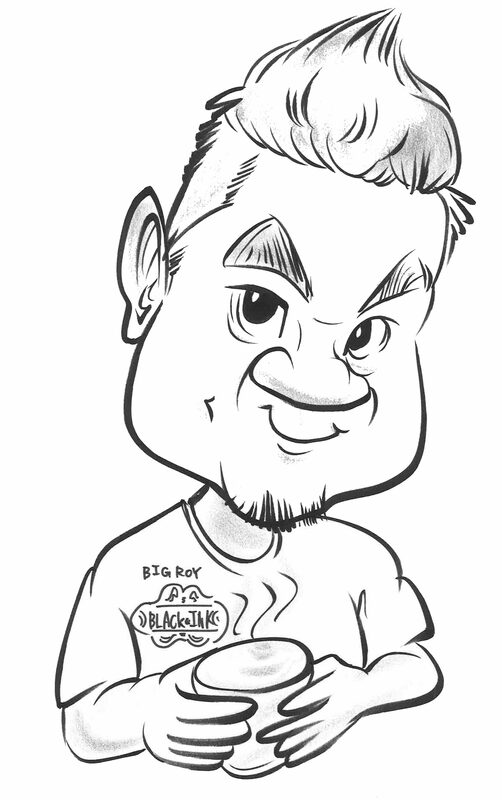 This is a must try too... Love it! 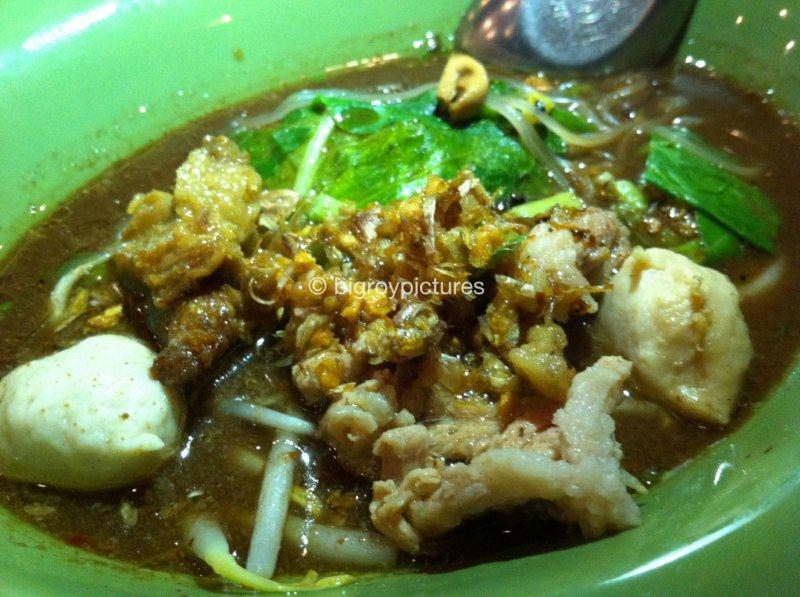 Taste: Love the thick broth in the noodles. Other food equally good and tasty. 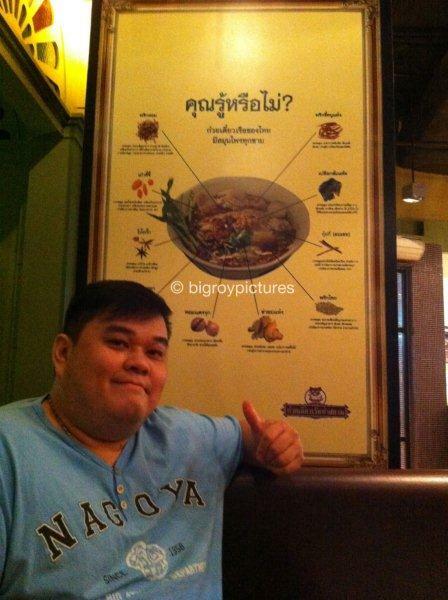 A place I must visit everytime in Bangkok. Portion: Portion is a little small for the noodles… I remember I had to eat 2-3 bowls the last time. Price: See last picture. About SGD$11 only for all that above. 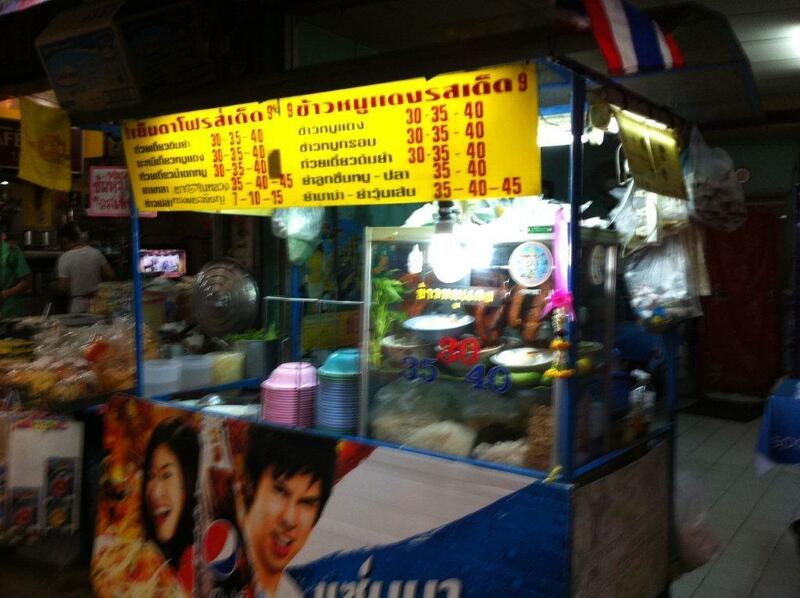 Location: This location is at the ground floor of MBK… in front of the supermarket and cab stand.